This week is the final countdown to my 3 week long ski trip coming up where I get to live the ski bum life for a bit and just enjoy some great mountains. 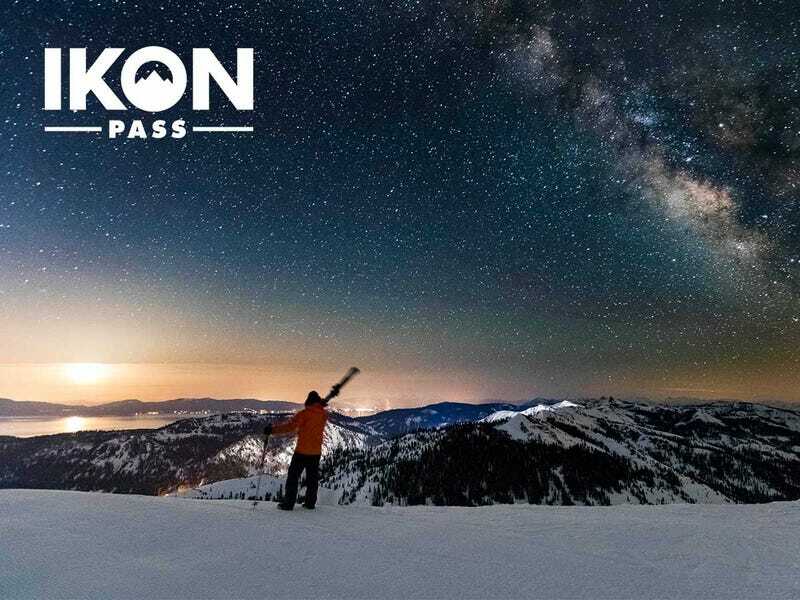 My Ikon pass has already paid for itself so all of my skiing on this trip is effectively free, I found plenty of cheap lodging via Airbnb, and I will be cooking my own meals 100% of the time. So the only real expense I will be facing will be gas since I will definitely be using a TON of that! I dont normally plan things out this detailed with spreadsheets but I was curious how many miles I was going to be driving in total, particularly to figure out any maintenance intervals I might want to take care of on the car before I left. I also wanted to know how much time I was really going to be spending in the car and what all of that driving might cost. I have plugged in extra miles and assumed more expensive gas so I should have everything covered adequately. With nearly 4000 miles and 65 hours spent on the road in total, this will be about the same length as my cross country drive. Thankfully this time I am using my stock 2006 Subaru STi instead of my track prepped 2001 Miata. So it should at least be relatively comfortable. Fri 1/18 5am: Girlfriend and I will drive from home to Las Vegas, NV. Spend the day together in Vegas. Staying at the Cosmopolitan. Sat 1/19: Spend the day together in Vegas. Staying at the Cosmopolitan. Sun 1/20 6am: Drive from Vegas to Zion Nat’l Park. Spend the morning at Zion. Drive from Zion to Moab. Staying in Airbnb in Moab. Mon 1/21: Spend the day at Arches Nat’l Park. Drive from Moab to SLC. Staying in Airbnb in Cottonwood Heights. Tue 1/22: Ski Solitude. Staying in Airbnb in Cottonwood Heights. Dropping off my girlfriend for her flight home from SLC to LAX. By myself until I pick up my friend later in the trip. Wed 1/23: Ski Brighton. Staying in Airbnb in Cottonwood Heights. Thu 1/24: Ski Solitude/Brighton or Deer Valley. Staying in Airbnb in Cottonwood Heights. Fri 1/25: Ski Solitude/Brighton or Deer Valley. Staying in Airbnb in Cottonwood Heights. Sat 1/26: Sleep in and then check out of Airbnb around 11am and pick up my friend from SLC Airport at 1230pm. Drive from SLC to Alpine, WY. Staying in Airbnb in Alpine. Sun 1/27: Ski Jackson Hole. Staying in Airbnb in Alpine. Mon 1/28: Ski Jackson Hole. Staying in Airbnb in Alpine. Tue 1/29: Rest day in Alpine. Should probably do something with the day locally but will focus on resting. Wed 1/30: Ski Jackson Hole. Staying in Airbnb in Alpine. Thu 1/31: Ski Jackson Hole. Staying in Airbnb in Alpine. Fri 2/1: Check out of Airbnb and drive from Alpine, WY to Big Sky, MT. Staying in cabin near Big Sky. Sat 2/2: Ski Big Sky. Staying in cabin near Big Sky. For the Big Sky portion, I have a big group (10+) from back East coming out that I will be skiing with. I only know a couple of them, the rest are friends of friends. Sun 2/3: Ski Big Sky. Staying in cabin near Big Sky. Mon 2/4: Ski Big Sky. Staying in cabin near Big Sky. Tue 2/5: Ski Big Sky. Staying in cabin near Big Sky. Wed 2/6: Check out of cabin and drive from Big Sky to SLC. Staying in same Airbnb in Cottonwood Heights. Thu 2/7: Ski Alta. Staying in Airbnb in Cottonwood Heights. Fri 2/8: Ski Alta. Drop off friend at SLC airport in the evening. Staying in Airbnb in Cottonwood Heights. Sat 2/9: Check out of Airbnb and drive home! End of trip. This schedule is pretty locked in but I will take additional rest days as needed. I have a dedicated rest day while I am in Wyoming and definitely the three driving days for transit between the areas will be restful as well. But I have never done a ski trip this long so who knows if all four days at Big Sky will really be full days or if I might skip a day in there to recover for Alta. One of the things I am doing to cope with the rigorous excercise is a protein shake every day. Also, I will be using Liquid-IV (similar to pedialyte) in my water pack to help hydrate throughout the trip. My skiing so far this season should have my legs and body up for the task assuming I dont go too hard early on! And also assuming I dont injure myself at any point, everything should work out pretty well. Will have my two sets of skiis and my friend’s skiis on the rack for this trip. Should easily fit all of those with the poles thrown in the back seat. I’ve toyed with getting the mount for my Sportube hard ski case but I just dont need the space for this trip really and would rather hang onto the money for now. My car will see some long hours on the road and be tested for sure. So I am performing some preventative maintence thanks to some help from a fellow Oppo. I will be changing the coolant, adding Redline water wetter for better cooling performance, replacing upper/lower rad hoses, replacing thermostat, and running a 44k additive in the fuel system to help keep that all clean. I will also be replacing the air filter, a broken j bolt for the battery, and a cracked intercooler air hose before I go. Oil is less than 1000 miles old and my recent Blackstone Analysis reported that my 4000 mile interval for the previous change had at least 2000 miles to go before replacement was recommended. Plus, through driving 4000 miles I am sure to go through 2 quarts of oil so it will get swapped out a bit on the fly. Full change will be required along with a tire rotation as soon as I get home though! Overall I am super pumped and looking forward to the trip. Hopefully I don’t get injured and the car doesnt break down along the way. I think everything I have done has prepared me as best I can for both of those risks. But I am bringing enough tools to fix the car at least! And I am cautious enough that injuries should generally be avoidable. I know my limits and I dont plan on pushing too far beyond them. Will update when I can about how the trip is going!